Mabuhay and welcome to SanD! This is the official website of the Structure and Dynamics Group (SanD) of the National Institute of Physics at the University of the Philippines Diliman. 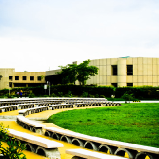 SanD was established in 2003 and is the youngest of five research laboratories of the NIP. 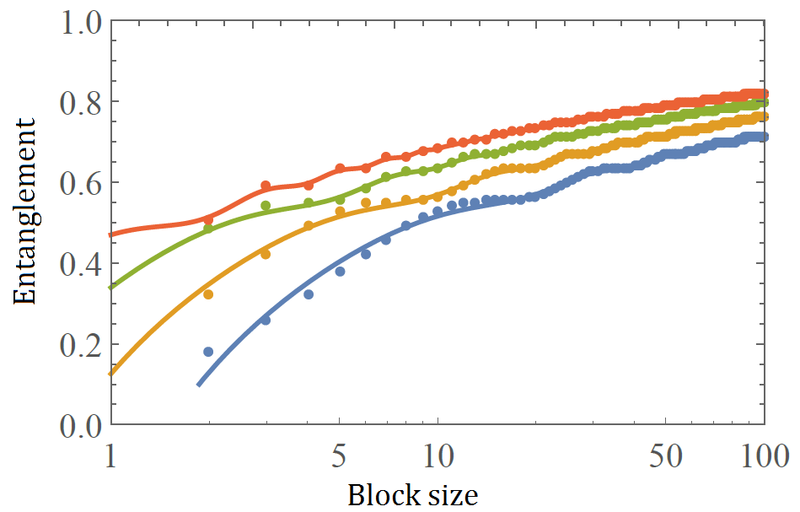 The areas of specialization of SanD scientists include computational physics, condensed matter physics, statistical physics, and quantum information theory. 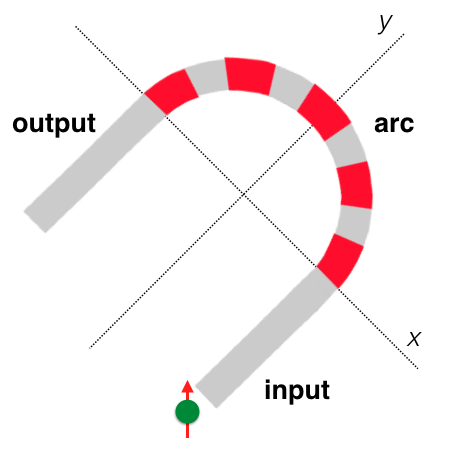 A recurring theme of SanD's research is the interplay between the structure of a physical system and its dynamical behavior. 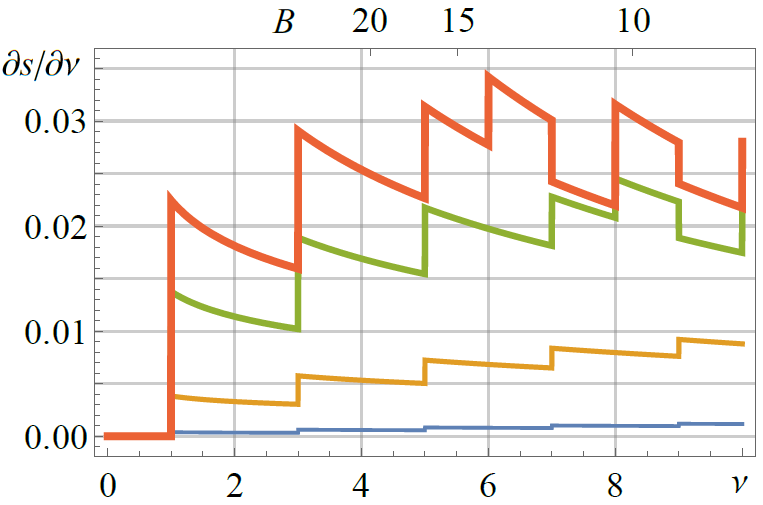 SanD is also developing competency in high-performance computing on a custom-built computing cluster to take advantage of multi-core computers for intensive numerical calculations. The 2018 ICTP Asian Network School and Workshop on Complex Condensed Matter Systems was hosted by the Suranaree University of Technology last 5-9 November 2018 in Thailand. The Philippines is a participating country of this ICTP Network and scientists and students from Mapúa University, MSU-IIT, UP Diliman, UP Los Baños, and USC attended the event. Lectures and talks covered a variety of topics on complex condensed matter systems that include quantum entanglement, quantum information and many-body interactions, density functional theory, and the applications of synchrotron light. Participants toured the nearby ancient Khmer ruins and the Phimai National Museum. SanD coordinator Cristine Villagonzalo heads the Philippine node of the network and the next 2019 School and Workshop will take place at the National Institute of Physics, UP Diliman. Former SanD student Paul Ang participated in the Second Training Workshop on Regional Climate Modeling for Southeast Asia at the Vietnam National University in Hanoi last 22-26 October 2018. Organized by the International Centre for Theoretical Physics (ICTP) and the Coordinated Regional Climate Downscaling Experiment in South-East Asia (CORDEX-SEA), the workshop included training sessions for the RegCM4 regional climate model and lectures on the latest progress of CORDEX-SEA. Paul and his groupmates' presentation that matched land use models with observed data was cited as the best presentation of the workshop. SanD researchers presented 23 papers at the 36th Samahang Pisika ng Pilipinas Physics Conference in Puerto Princesa City last 6 to 9 June 2018. This international conference was one of the largest organized by SPP with 369 participants coming from 11 countries. The sessions were highlighted by talks on frontier topics by 30 invited speakers coming from strong academic and research institutions, several of whom have ties with SanD members. The online Proceedings of the SPP published 214 open-access articles and another 50 extended abstracts were presented as posters. SanD physicists Francis Paraan and Cristine Villagonzalo played crucial organizational roles in the conference and SanD alumni Marienette Vega and Rona Barbarona actively participated as SPP Councilors. 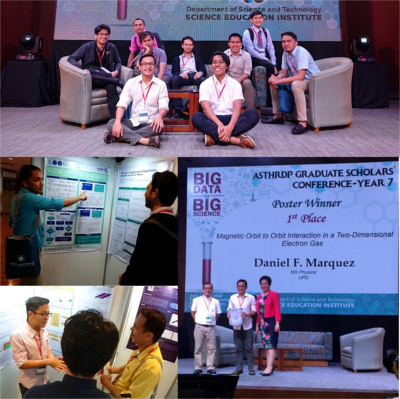 The poster presentation of Daniel Marquez was recognized as the best technical poster at the recently concluded DOST-SEI ASTHRDP Graduate Scholars' Conference held last 18-19 June 2018. His presentation on the magnetic interaction in a two-dimensional electron gas is part of his MS thesis work supervised by Cristine Villagonzalo. Five other MS Physics students from SanD also presented their research in this annual conference: Jan Viloria (molecular dynamics simulations of alloys), Raymart Canoy (quenched Kitaev chains), Amancio Manceras (Penna model and genetic diversity), Mykhal Mangada (tensor network image classifiers), and Jammy Guinid (Penna model with mutations). In line with this year's theme of Big Data for Big Science, talks were given on the applications of data science in industry, agriculture, medicine, climate change, and other fields. 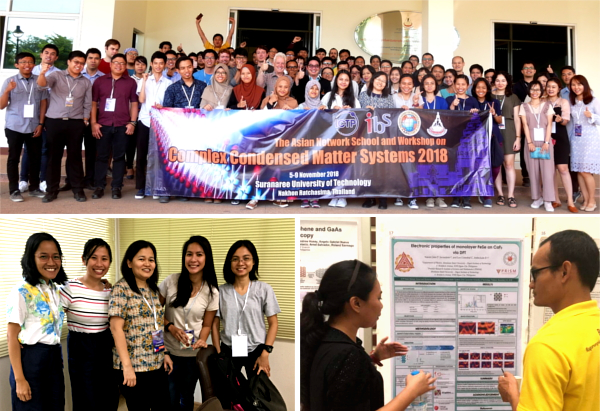 The ICTP Asian Network on Condensed Matter and Complex Systems links scientists of the International Centre for Theoretical Physics (ICTP) in Trieste and several research groups in Korea, Vietnam, Thailand, and the Philippines. 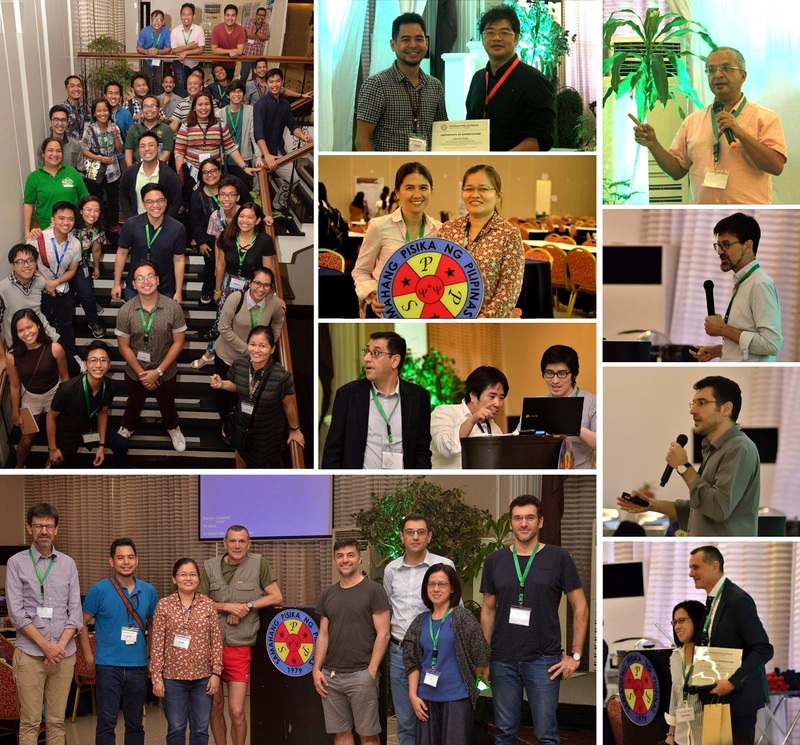 The network node in the Philippines is coordinated by SanD faculty Cristine Villagonzalo and involves physicists from MSU-IIT, UP Diliman, and UP Los Baños. SanD members were actively involved in three network activities this year and look forward to further participation in the following years. Materials Science and Engineering masters student Meltion Chiong III was one of the poster presenters in the 9th Electronic Structure and Processes at Molecular-based Interfaces (ESPMI9) Coneference held last 8-10 November 2017 at the National University of Singapore. 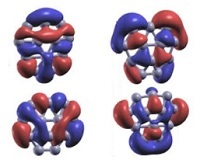 His research employs density functional theory to describe the electrochemical reduction of carbon dioxide to carbon monoxide by the metalloorganic molecule cobalt-salen. The conference was jointly organized by the the Department of Chemistry and Department of Physics of the National University of Singapore. 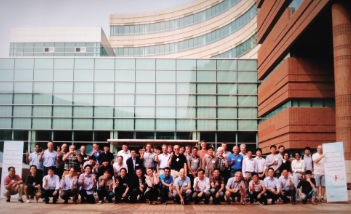 The conference was devoted to frontier topics in the field of molecular and contact interfaces, charge transport, morphology, and the spectroscopy of organic semiconductors, perovskite photovoltaic cells, and two-dimensional materials. 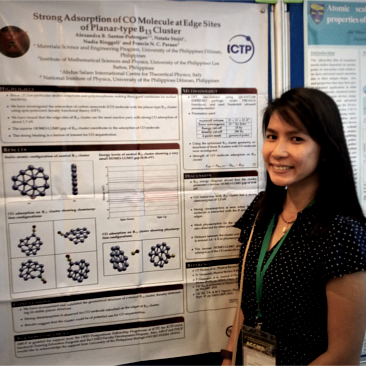 SanD graduate student Alexandra Santos-Putungan participated in the 9th Conference of the Asian Consortium on Computational Materials Science (ACCMS-9) in Kuala Lumpur, Malaysia last 8-11 August 2017. Alex presented a research poster highlighting her studies on first-principles simulations of carbon monoxide bonding on boron atomic clusters. 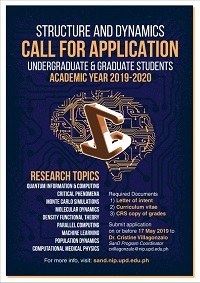 The ACCMS was organized to promote research and development among scientists in the region who work on computational studies of novel and advanced materials. Graduate student Meliton Chiong III completed the 2017 ILE-NIP Summer School in Physics and Laser Engineering held last 24-30 July 2017 at the Institute of Laser Engineering (ILE) of Osaka University in Japan. The summer school is a seven-day program and the participants attended several lectures on laser technologies and nuclear fusion. The program also included a two-day laboratory immersion experience in which the students were accommodated at one of the ILE Research Groups on Laser Advanced Materials, Laser Plasma Radiation, Target Materials, and Theory for Laser Plasma.